About a year ago, I mentioned that I had started laser hair removal treatments with LightRx. My disclaimer is the same, I was gifted these services in return for my honest review. Well I had my last treatment so I thought now would be the perfect time to tell you all about the process and my experience. I recorded my last session and in the video below I will be taking you guys along with me so that you can see the experience for yourself. I also answer a few tips in the video as well. How many sessions did you have? I had 10 sessions. 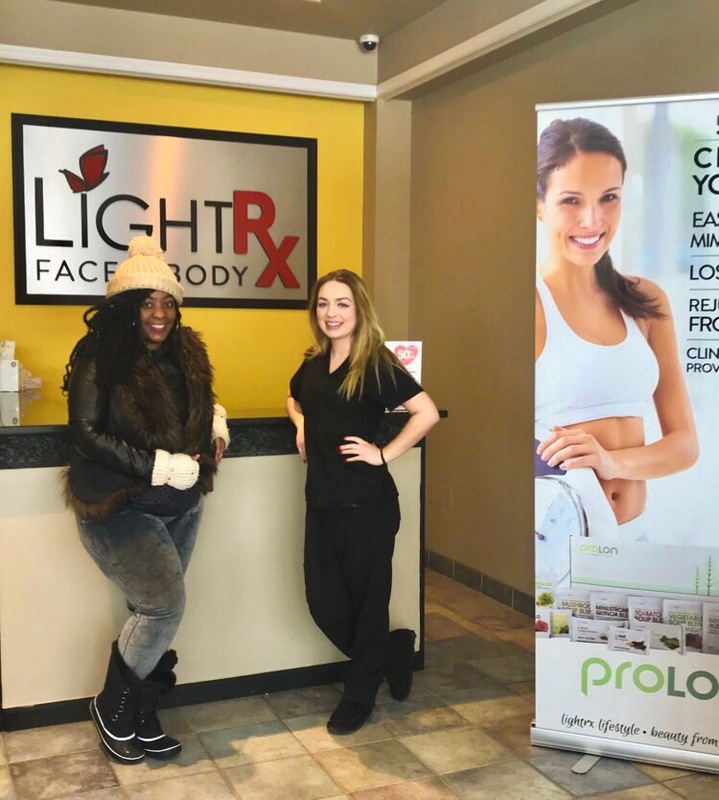 With LightRx you pay for 8 sessions and are gifted two additional sessions should you need them. How are treatments scheduled? Treatments are spread over time between 4-6 weeks depending on the area being treated. What type of Laser Was Used? Venus Versa. Does it hurt? No. In my opinion, it does not hurt it has the sensation of the pop of a rubber band, but it is so quick you barely feel any real discomfort. Does it really work? Yes, it does. Is it a permanent solution? Over time you will notice that the hair will grow finer and finer and less and less. Over time you will shave less and less. Are you satisfied? YES! I am completely satisfied with the results. If you have any other questions please leave them in the comments below! Be sure to follow me on Instagram here. Hey cuzzo's! So if you haven't noticed I've been quite busy on my YouTube Channel lately and if you're not following me over there you might want to do something about that ASAP. You can subscribe here boo, and make sure you hit the bell so you don't miss a video. I tried on these suits in Forever 21. Click to Shop! Find out which one I purchased in the video below. P.S. This is the most skin I've shown on my blog since rocking this two-piece Forever 21 bikini here, so be nice! Y'all I'm so ready for spring, but you do see that snow? Lord have mercy insert long sigh here. I mean when is it going to stop? When Lord, haha! How dope is my hair though? 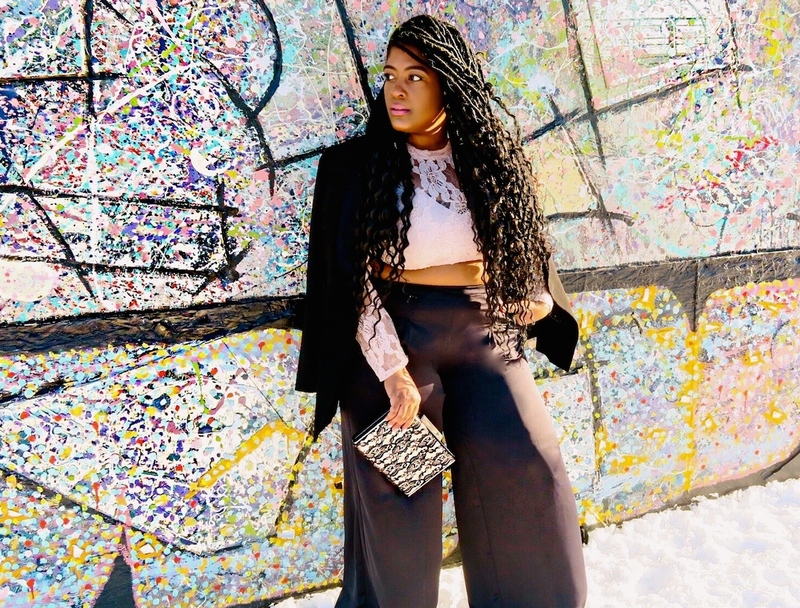 My boo Styles by Tiara C got me all the way together with these waist length goddess locs! I absolutely love them and unlike my block braids they aren't heavy at all. This outfit is my olde to spring. Please hurry baby, I miss you so much! Faith Chic 360: Surrender | Just Say Yes! Did you know, I started FaithChic360 over on Instagram live? Each and every morning (excluding Sundays) I go live at 7AM eastern standard time. For just about 15 minutes to share just a little bit of Jesus with you guys through, prayer, a scripture and song. Faith Chic 360 has been going strong for just about a month now and I thought it would be a great time to introduce to you all here! Please check out today's live in the video below. This week's theme is Surrender! I don't know about you but there are somethings (this one thing in particular) that I need to not only pray about but surrender it to the Lord! I'm thanking Him in advance for deliverance! Quit dabbling in sin. Purify your inner life.